Summer is the best time to get outside and enjoy the warmth and sunshine. Whether you’re playing sports, swimming at the pool, or just enjoying a peaceful day out in the sun, there are so many ways to enjoy the outdoors. 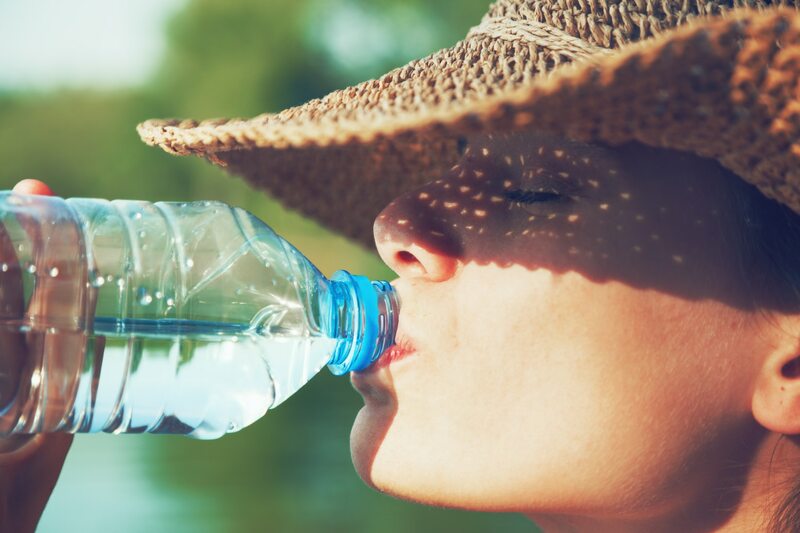 As the heat rises, it’s crucial for you and your family to drink enough water. Dehydration can creep up on you, set in fast, and can have dangerous consequences for your health. It’s easy to forget to chug that water while you’re out having fun, but it so important. Advanced Water Solutions will now take a look at some ways to help you stay hydrated as you enjoy that summer heat! Feeling thirsty. Listen to your body and drink some water. Sunken fontanel (soft spot on the top of the head). Less elasticity of the skin. Keep in mind that infants under a year old should be given breastmilk or formula instead of plain water to combat dehydration. If you suspect that your child is dehydrated, it’s best to check in with his or her physician right away. Avoid energy drinks. They contain large amounts of sugar and other stimulants that can reduce hydration. Swap in some water for other drinks. If you’re inclined to drink soda, coffee, juice, or other drinks each day, try swapping at least one of these cups for water. Slowly incorporate more water into your schedule by setting small goals for yourself one cup at a time. Have a reusable water bottle with you at all times, and refill it every time it gets low. This will help you get into the habit of drinking more water throughout the day. Look for a 2 pound weight loss. If you notice that you've lost a couple of pounds when you step on the scale in the morning (and you’re not actively trying to lose weight), you are likely dehydrated. If you see this, get at least 8 ounces of water in you before you do anything strenuous that day. Eat some fruit. If you’re not in the mood for drinking a glassful of water at the moment, grab a piece of fruit to get a bit of H2O. Get a water filter. It’s much easier to down glass after glass of water if it’s fresh and tasty. If your tap water has an odd taste or smell, get it tested to see if you need a home water filter. Get a water bottle that you love. If you’re carrying around a water bottle all day, you’ll be more likely to use it if it’s one that you enjoy. Some water bottles can track your water intake. You could find one to match your work bag or purse. Turn your water bottle into a fun accessory! Add fruit to your water. Placing some lemon slices or strawberries in your water will give it a sweet kick that’ll help you stay hydrated and make you want to drink more. Here are some more ideas to help you make your water more appealing. Make fruit ice cubes. Place small pieces of fruit in an ice cube tray and fill the rest with water. Once they freeze, pop a couple into your water bottle to help keep your water cold and add some flavor while they melt. Use a straw. Studies have actually shown that if you use a straw to drink water, you are likely to drink more of it! Drink a glass of water before each meal. This will ensure that you’re getting at least 3 glasses of water a day, and it will help fill up your tummy a bit, so you’ll also be less likely to over-eat. Most people don’t drink enough water each day. By getting yourself that fun water bottle and making sure it goes with you everywhere or adding some fruit to give your water a fresh and sweet taste, you’ll be drinking more water in no time. Staying hydrated is important for your health and safety during those hot summer months. So before you head out the door, grab yourself a water bottle and starting hydrating!